Retaining an organ failure attorney Hawaii natives in similar situations have used will unveil many untruths and discrepancies that patients may forget, or doctors fail to mention. Organ failure happens when organs get damaged to such an abnormal state that normal homeostasis cannot be sustained without external medical involvement. Once organs stop functioning properly, other processes can fail, leading to serious internal injury or death. Many cases of organ failure happen naturally, while others may merit retaining an experienced Hawaii organ failure attorney. But before attorneys begin suspecting hospitals are falling afoul with patients, it’s important to know the difference between litigable organ failures, and those which occur without reckless intervention. Organ damage stems from numerous non-negligent actions, such as taking too much acetaminophen, abusing drugs or alcohol, even participating in sports where constant body contact is made with extreme force. These incidents are obviously not going far in court. Many other damaged organ cases, however, do stem from reckless behaviors exhibited by drivers, employers and medical professionals. Some incidents include near-fatal car accidents, injecting patients with legal combinations of drugs, lacerating organs during surgery then failing to notice such, employers failing to keep safe workplaces, even certain premises liabilities can cause organ failures. These are actionable. Establishing actionable negligence doesn’t build an automatic prima facie case, however. When damaged internal organs, like the heart and spleen, go unmitigated, the fault could revert to the patient for failing to remedy the situation. Conversely, patients prevented from mitigating their lacerated or otherwise failed organs could potentially die, leaving survivors to file wrongful death action. Retaining an organ failure attorney Hawaii natives in similar situations have used will unveil many untruths and discrepancies that patients may forget, or doctors fail to mention. Negligence is an ugly beast in medical nomenclature, rearing its nasty head when doctors simply stop caring about the oath they took as licensed physicians. Proof must be irrefutable but in many cases, it’s blatantly obvious. So, it’s litigable. Now what? Once an attorney has established legal precedence, gloves come off. Depending on patient condition, how organ failure took place and what proof is necessary, putting together an ironclad case while filling any holes isn’t difficult. After everything has been gathered into a thick folder, we’ll approach at-fault party’s counsel (if one is retained) with our findings and seek compensation. ‘Compensation’ is broadly defined in personal injury matters. Yes, it’s financial, but not always involving a massive check being written to your Hawaii organ failure attorney. Compensatory agreements could include sending checks to cover medical bills directly to hospital, writing your mechanic another check for repairs, and yes, taking care of your attorney and victim directly. 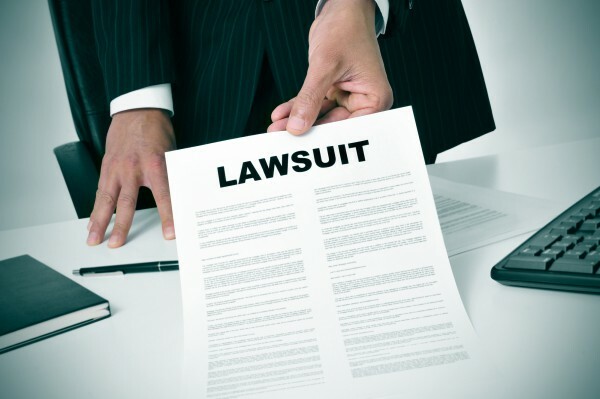 Punitive damages are common in medical negligence, too. Often, this means doctors are stripped of licenses, hospitals are forced to work harder on hiring ethical physicians, company policies could be rewritten, and anyone with direct supervision over doctor could be considered complicit, too. Bear in mind organ failures discussed here leaned heavily on medical negligence. Because anatomical damage resulting from recklessness happens in many ways, it’s best these matters get handled by an organ failure attorney Hawaii victims (like you) have trusted for years.